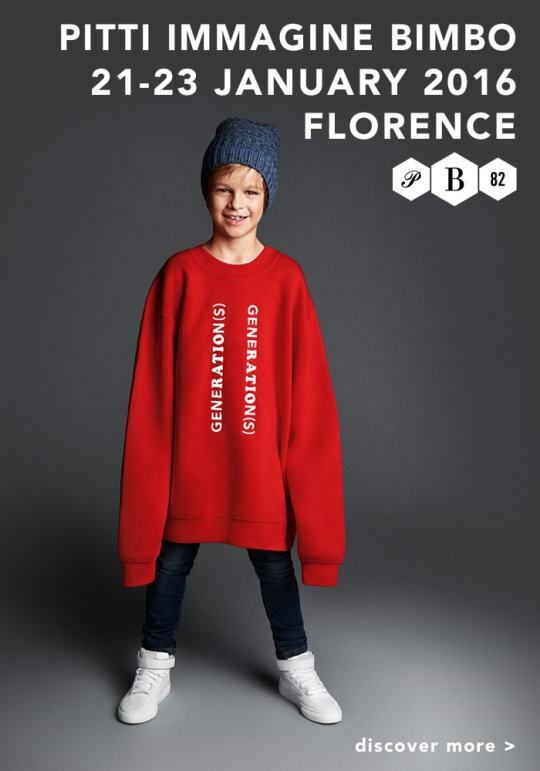 With 445 collections expected, 216 of which from abroad (46% of the total), over 6,700 buyers and a total of just under 10,000 visitors at the last winter edition, Pitti Immagine Bimbo, the most important international fashion event for kids and teenagers, is setting a new record for internationality. 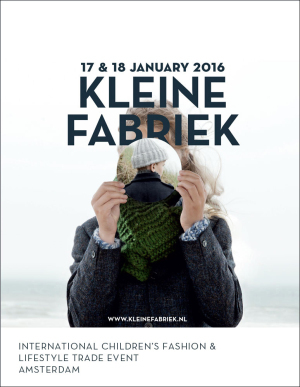 Scheduled to be held from 21 to 23 January 2016 at the Fortezza da Basso in Florence, the only fair that presents a complete overview of the universe of children’s fashion on a global level strengthens its dual core at this edition: on the one hand it is a key reference event for the most important players in the kidswear sector, and on the other, it is increasingly a lifestyle platform that has made the focus on research its essential driving force. PITTI GENERATION(S) is the title-theme of Pitti Bimbo 82 and it will talk about the “coexistence” of different generations in today’s fashions and styles. The speed of today’s life compresses and mixes personal and generational time between nostalgia and experimentation, going beyond global boundaries. PITTI GENERATION(S) will take an ironic and lighthearted look at an era in which age is more a state of mind than a date on a birth certificate, with mature men wearing jeans and t-shirts and youngsters who have a passion for vintage looks and sport Victorian beards. It will be an energetic plunge into new styles and “ways of life” presented at the Fortezza da Basso’s several nerve points – designed by Oliviero Baldini. And, there will be an exclusive, limited-edition capsule collection – inspired by PITTI GENERATION(S), – of items distributed by an original, itinerant temporary shop, a project produced in cooperation with the design brand Seletti and Toiletpaper, the Maurizio Cattelan and Pierpaolo Ferrari’s cult magazine. Furthermore, Pitti Immagine is continuing its collaboration with talented directors to create digital art projects for the fairs’ publicity campaigns.